Mehek Saeed is a fashion journalist and celebrity stylist, who also happened to be a contributing editor at Grazia Pakistan. Recently, she tied the knot with restauranteur Ammar Mohsin. You can imagine the pressure on a stylist bride? She has to showcase her sense of fashion without any external influence. 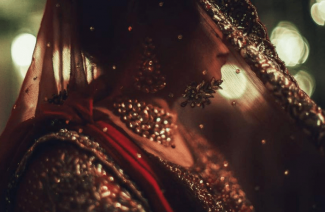 Mehek did a commendable job at it, and her bridal looks below will show you how. 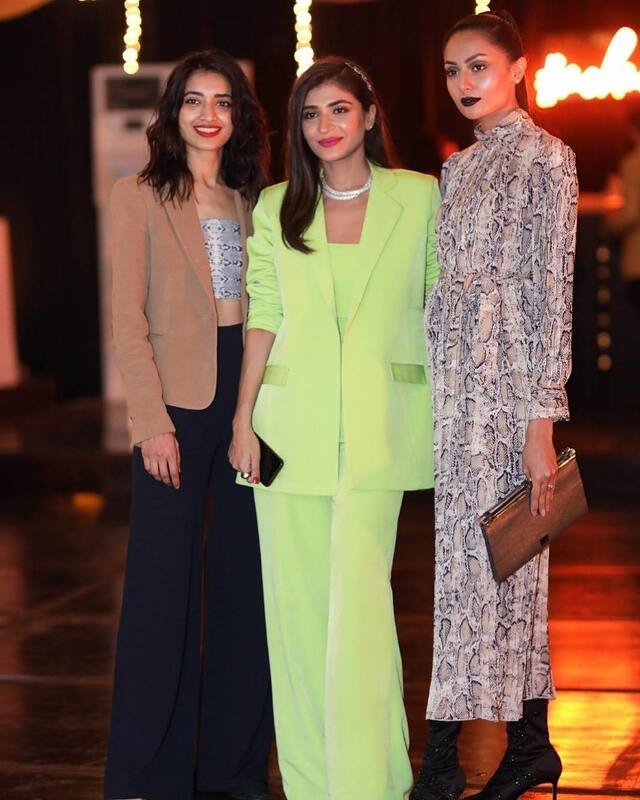 The stylist wore a neon green power suit for her pre-wedding bash. 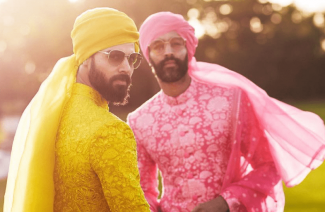 Neons are the latest bridal fashion trend, but somehow Mehek made it look both quirky and elegant. It’s quite a feat in itself when you consider the flash and sass of neon colors, but the bride opted for it as a clear fashion statement. 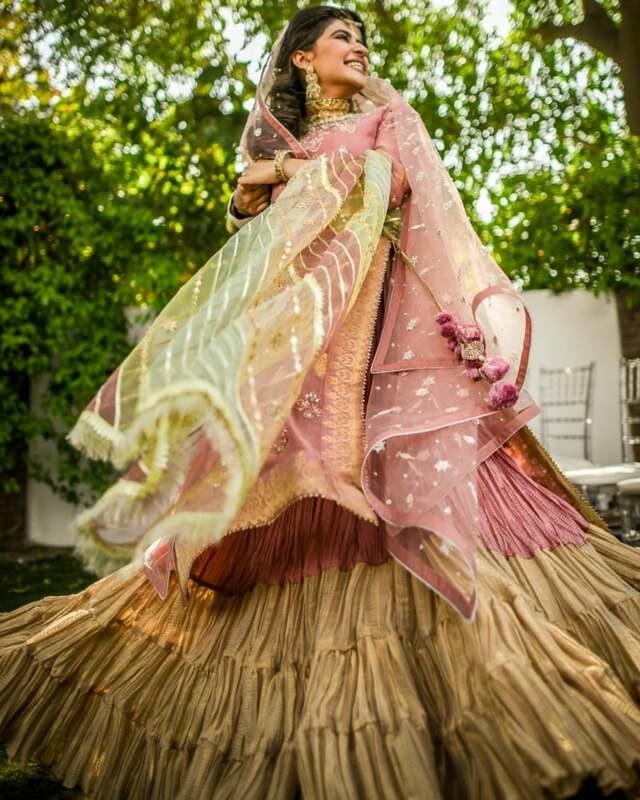 The pastel pink Misha Lakhani outfit was appropriately sweet and simple looking for her Nikah. With its flairs and crushed bottoms, it made the perfect outfit for a sunny, happy event. Fatima Nasir was the bride’s choice of a makeup artist. For her grand dholki, the bride chose another green outfit. This one was by Ali Xeeshan who customized an applique lehenga and dupatta. The shirt was plain, but with a one-shoulder dramatic cut. The statement teeka from Zohra Rahman was the only accessory she wore, and it turned out beautifully. 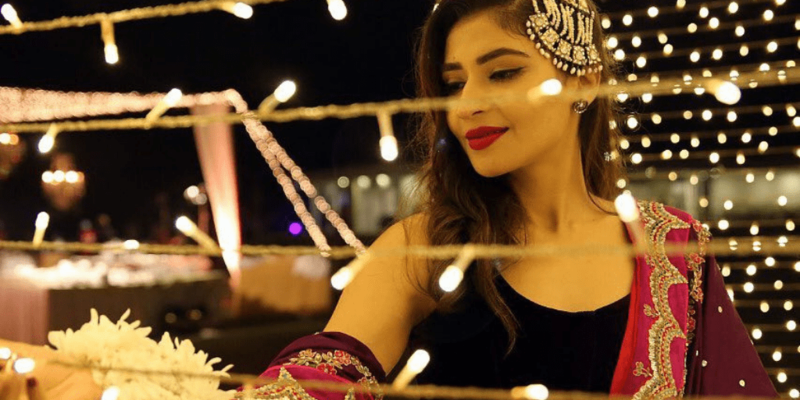 For her Qawali night, the bride went for a traditional farshi lehenga, paired with a simple black choli that lent a contemporary edge to the outfit. She wore her hair parted on a side, and a vintage jhommar completed her modern twist on a traditional look. Like the bold stylist, she is, Mehek opted for a Hira Ali Studio’s made festive blue Shalwar suit on her Mehendi. She paired it with her mother’s walima outfit dupatta. The overall effect was flattering despite it being an unconventional choice. Her white floral jewelry had a romantic and bridal overture that seemed perfect for the occasion. For her barat, Mehek picked a Kamiar Rokni ensemble that was all things regal, beautiful and cool elegance. The ivory and gold lehenga went so well with the stylist’s heirloom jewelry with its solid gold severity. 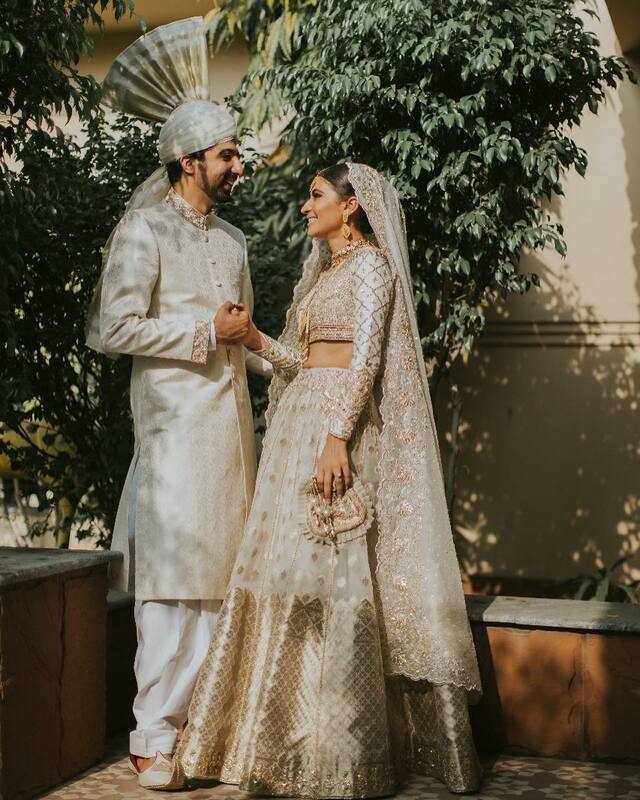 Her husband’s sherwani had the complimenting white color and similar gold embroidery for a perfect couples’ look. The Ammara Khan’s blue sari that the bride wore for her walima was goals. 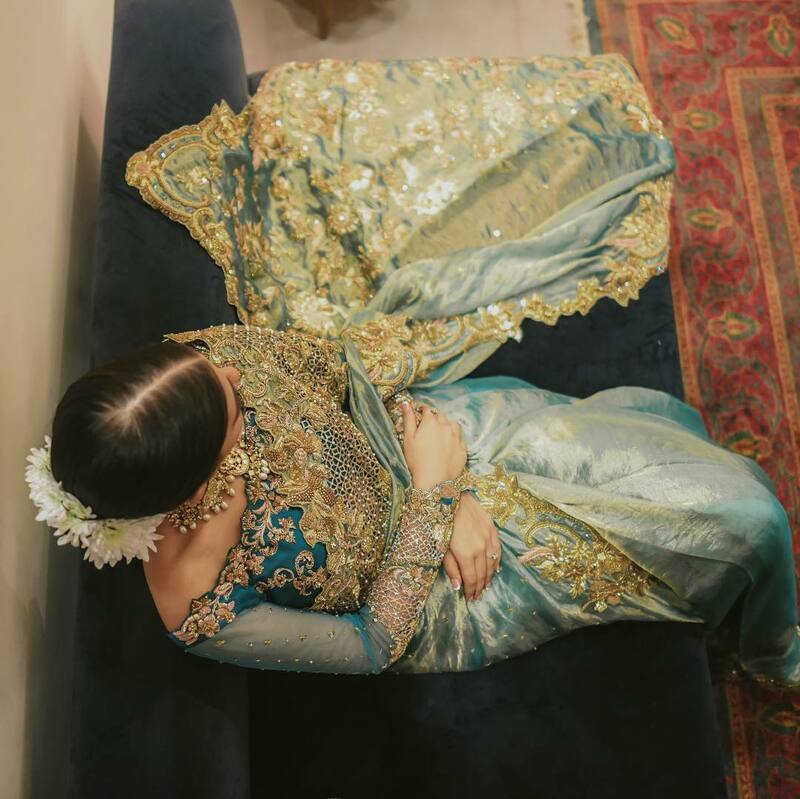 The aqua and teal sari with gold undertones was so perfect and unique. Surely, it was the best choice for a celebrity stylist like Mehek Saeed. She went for a contemporary look and ditched the dupatta. Her hairs were woven with a chrysanthemum that looked extremely romantic. Which of her looks did you love the most? Don’t you agree that the simple, minimal accessory looks are something that should stay? 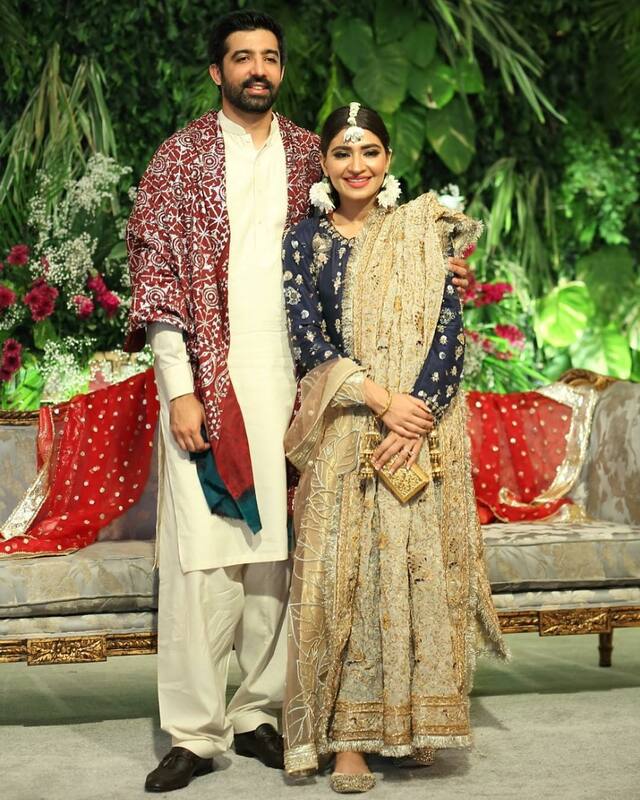 Mehek Saeed, a fashion journalist and celebrity stylist, recently tied the knot with restauranteur Ammar Mohsin. 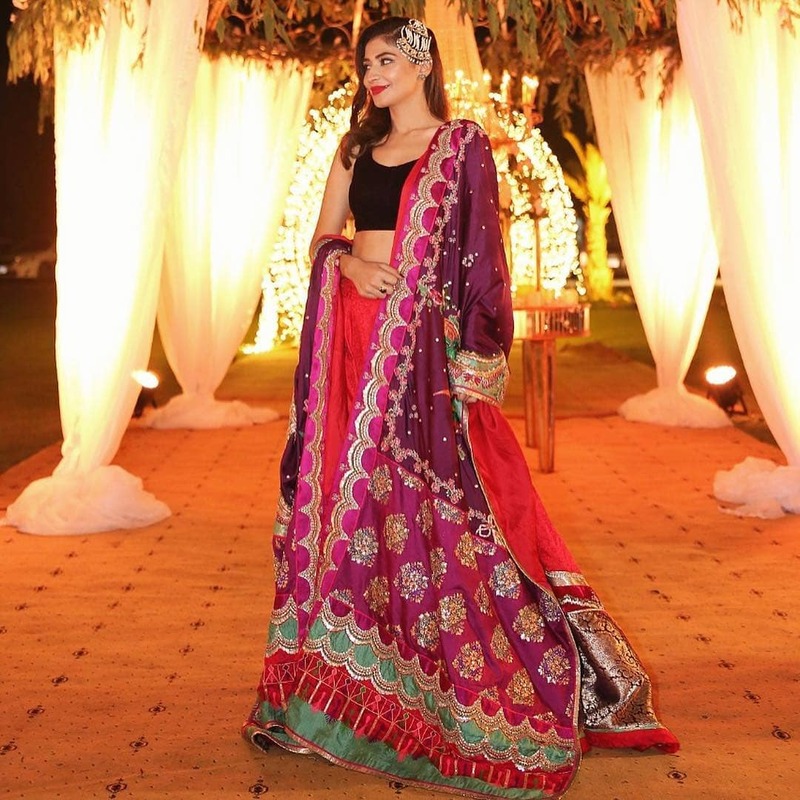 This article is decoding Mehek 's bridal looks and her impeccable sense of style.